Functional Dry Needling (FDN) is a technique used to treat myofascial pain. The technique targets muscles that produce pain and contain trigger points using a small-thin needle that is inserted through the skin into areas of the muscle. The advantages over other techniques are that it can treat parts of the musculoskeletal complex and deeper layers of muscles which our hands and fingers cannot reach. This method is used as a tool within your treatment plan and can produce quicker results. Our certified therapists use FDN with the goal of releasing or inactivating trigger points to relieve pain and increase range of motion. FDN is not acupuncture, dry needling is a part of modern Western medicine principles. What is a "trigger point"? Trigger points are small continuously contracted groups of muscle fibers in a muscle that may cause pain. Trigger points can form in any muscle in the body. Common sites for trigger points are muscles in the neck, shoulders, low back and hips. Trigger points may cause a decrease in range of motion due to increased pain and muscles may get tired more quickly because they are already using energy to stay contracted. Acupuncture is based on restoring flow of energy ("chi") along meridians in the body. FDN is based on modern Western scientific principles and our knowledge of anatomy and physiology. Generally, the insertion of the needle is not felt. The local "twitch response" may provoke a brief pain sensation that has been described as a tingling, aching or cramping sensation. We usually recommend that you start with one treatment session a week. Patients who tolerate this treatment sequencing may elect to treat two times a week with at least two days apart. Patients may have post treatment soreness and occasional bruising. The post treatment soreness can last from 24 to 48 hours initially and with each subsequent treatment the soreness is generally a shorter duration. 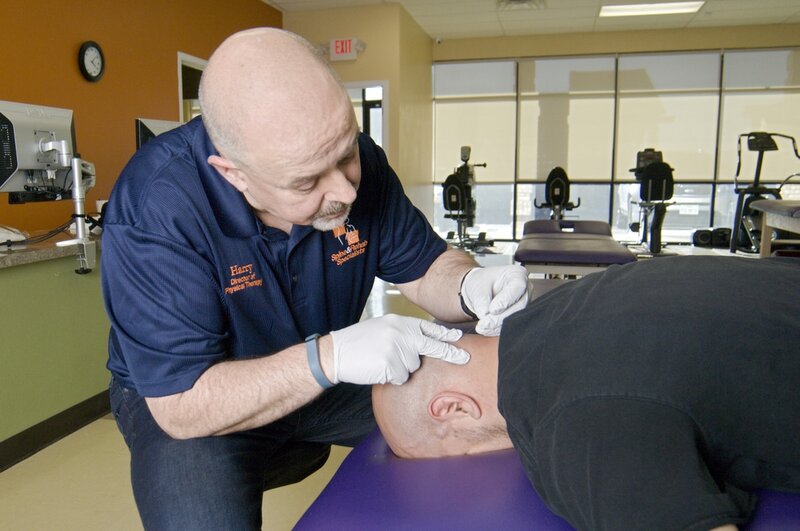 What types of conditions can Functional Dry Needling assist?